On average I publish over 10+ blog posts a week. Some here, some over at www.writersandauthors.info, and some guest posts for other sites. No, I'm not torturing myself. I love blogging. It's good return on investment too. 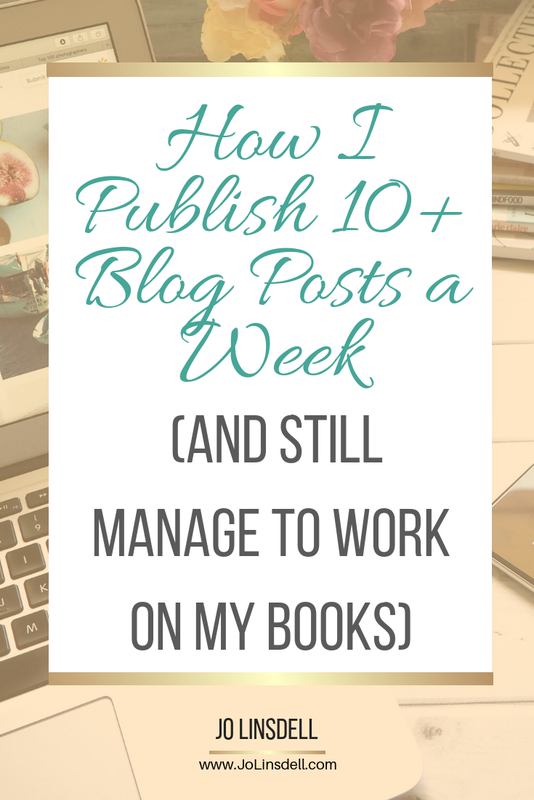 I often get asked how I manage to publish so much and still manage to work on my books and other projects. Whilst I love what I do, at times it can be challenging to come up with so much content week after week. Over the years I've learnt a few tricks to keep me productive whilst avoiding burn out. A swipe file is basically a list of ideas to pull from when you have no ideas. I keep separate lists for each blog to make life easier. Some ideas are quite general. Others are more specific. Sometimes I take one idea and then brainstorm it from different angles for multiple posts. When I draw a content blank, I just hop over to my list and pick an idea. This follows on from the swipe file. An editorial calendar is basically a calendar of what to post, when, and where. I have separate editorial calendars for each blog. I personally like to print out a page per month calendar and pencil in the posts. The reason being that I spend a lot of time on my computer. By having a paper copy I can step away from electronics and think over my schedule without distractions. As I take ideas from my swipe file and allot them specific days on my editorial calendar, I know my deadlines for each post and can create posting themes. For example, in November writers get into a writing frenzy doing challenges like NaNoWriMo and PiBoIdMo. 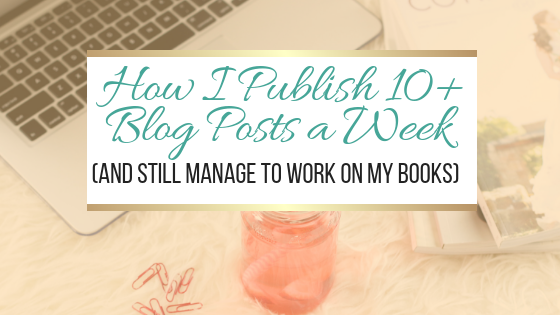 In November I tend to schedule posts on the Writers and Authors blog about how to write faster, beating writers block, creative motivation, etc... I know that lots of my readers will be doing the challenges and will be looking for related topics to read. Those not doing the challenges will also be interested in reading the articles though as most are not challenge specific. They are evergreen topic... that just happen to fit well with the challenges happening at that time. This is the most important. Sorry, no magical answer. You need to write. It's that simple, and that hard. Getting into a writing routine helps though. I write every morning. It's not always easy but it is doable. Some days the words flow from my fingers. Others days I go at snail pace. I'm so used to writing everyday now that the days when I don't something feels wrong. It's become a habit. I work on blog posts and other content in the morning. This is when I have the most energy and so can normally punch out several posts in just a couple of hours. I work on my books in the afternoon/evening (depending on my schedule and if my kids allow it). If I'm working on illustrating projects my kids will often join me and we'll have an art session. They also like to read my children's books and so when I'm working on one of those we sit and read together. They are great at giving input into what works, and what doesn't, in the story. If they are playing nicely I can usually get an hour or so to work on my other books (normally broken up into 10 minute intervals as they interrupt with "mummy can I have...", "mummy he did....", "mummy look at this..., etc....). I still get to increase my word count though. This is what works for me. I make writing a priority and get it done. No magic tricks. Just writing regularly. What works for you? What tips would you add to this list? Great tips, Jo! To be honest, I gave up trying to blog so much as it was keeping me from income-producing activities. Once a week now, for me. I'm also more concerned with updating old posts that are drawing great traffic than dashing off a new one. It's really working for my blog traffic! I definitely keep a list of potential topics. 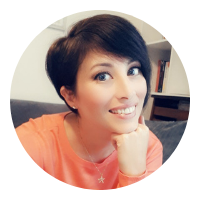 I've just had to admit that there's more stuff I want to blog about than time in my life! 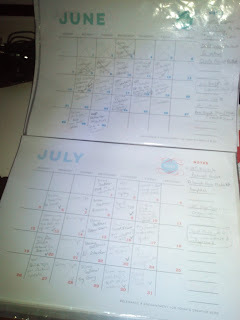 I do have an editorial calender I write 3 times a week Thats enough for me. I find that is my magic number and I spend the rest of the days doing other MMA stuff, promoting the content and enjoying my family. I love that you involve the little ones, my children come up with the most amazing ideas sometimes. Our son came up with a whole SM strategy for our content... I was super excited and Created an infograph for that. Thanks for dropping by Julie. I wasn't very regular with my posting here until recently. I've been tweaking my marketing plan and part of that is to try and post on week days. Since I started blogging more frequently I've seen a huge increase in traffic so it's working nicely. Not everyone will want to do that though. If you've found your sweet spot at 3 times a week, then go for it. I think that's something a lot of people overlook when they read all the tips and advice available online. Whilst some stuff works great of certain people, it doesn't apply to everyone. I love it when I can involve my kids in my work. They have such a fresh way of looking at everything. They don't hold back about saying what doesn't work either. They give the most honest feedback possible. It can be a great eye opener. I love these ideas! As a new blogger I've only been posting once a week because I'm still trying to organize my site plus my social sites. My list goes on forever lol. But I do carry around my phone and every time I think of a topic I make a voice recording and send it to a "post ideas" folder on my google drive. I will definitely need a calendar once I get going full time. Thanks Carol. I know what you mean about the list going on forever ;) Seems never ending at times, but with the right organisation it's totally doable. Great idea for capturing your post ideas on the go. I use my phone a lot too. Never thought of voice recording myself though. Evernote is a good tool for organising notes on the go.